Small fruit size like marbles with green color when young, then will turn yellow, fresh but slightly astringent. Suitable for you who like Bali spicy fruit salad. 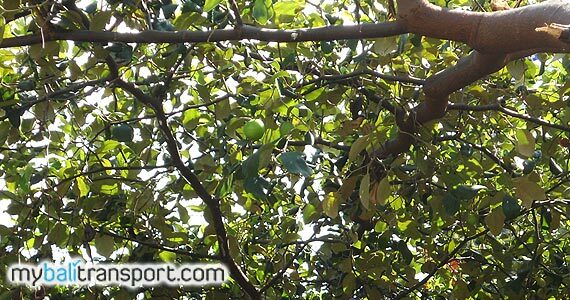 Bali Bekul tree in general can be found in dry areas such as Nusa Dua, Jimbaran, Ungasan, and Denpasar. Tree with slender stems, but many branches, has spines on each stem. At the harvest time of fruit, each filled with Bekul fruit reddish yellow color. Bekul or Bidara or Sidir in Arabic so much usefulness. 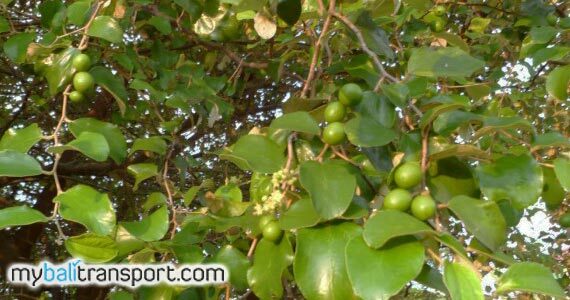 Latin name is Zizyphus mauritiana L. or Zizyphus jujube. All parts of the tree can be used as a medicine and other benefits. Roots, stems, bark, fruit, leaves and flowers have high medicinal benefits. Bekul has been used traditionally for thousands of years by the people (African, Indian, Arabic, Chinese, Malay, and many countries in Asia) and has been tested by scientists of China, India and the West. In Japan and Europe, Bekul tree used in beauty products and medications to treat skins cancer. Bali Bekul fruit has a high nutritional value that contains vitamin A, vitamin C, carotene, vitamin B complex, magnesium, iron, potassium, antioxidant bioflavonoids. Also filled of active phytokimia ingredients such as acid triterpenoids, saponins, alkaloids. Contained in fruits, leaves and roots are used to selectively kill cancer cells without damaging normal cells. 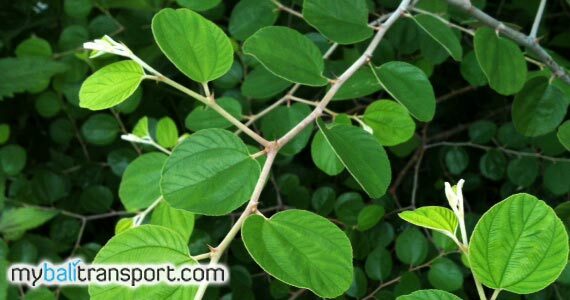 By famous Chinese society with their herbal medicine, fruit bekul used as material for patient care, as cough and can strengthen or protect the heart, lungs, liver from damage caused by the chemicals that we eat. This is proven by clinical and laboratorium tested. Green leaves can be used as a eye pain medication, ear pain, itching drugs, medications vaginal discharge, hemorrhoids, toothache and other. And some are using Bekul leaves that have been crushed to be used as a face mask, to tighten the skin and eliminate acne. For Bali people, the dry Bekul timber as the manufacture of twigs knife and used as firewood. 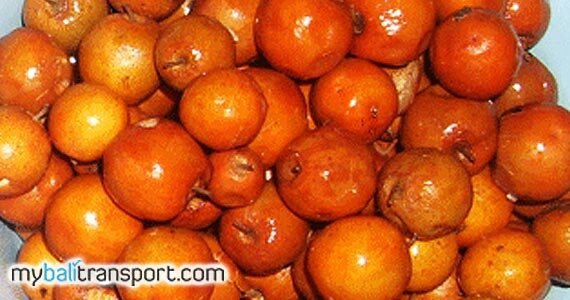 For fruit, used as a material for Bali Spicy Fruit salad which is very sweet and sour astringent taste.